So how much will it cost to get our top-rated sofa cleaning service? Make contact with us now and we will quickly provide you a non-obligatory and free quote at 020 3746 3201 or our form. Correct deep bed furniture cleaning is necessary for your individual health, particularly for those who have dust allergic reactions, breathing difficulties, eczema and different troubles. The experienced mattress cleaners utilize higher power UV lamp for dust mites eliminating and UV sterilising of the mattresses and pillows. The process usually takes under fifteen mins per mattress, and yet is highly effective for cleansing your bed from dust, dust mites and other risky bacteria and things that trigger allergies. We also specialize in effective bed bugs elimination. No water is needed, so no drying time is necessary right after our cleaning technique. To guarantee that your property is dust free and has a cleaner fresh air, reach out to your phone and rely on us to fully clean and sterilize your bed! Dear clients, our modern sofa cleaning company provides affordable services. We offer discounts for another service booked with us and for regular customers. Consider using our mattress treatment cleaning service, it can be arranged round the whole year. We don’t extra charge either for weekends or for holidays. All our rates are with VAT included! Our experienced curtain cleaners can offer you expert drapery cleaning and blinds cleaning. We only apply Prochem cleaning treatments that are safe for you and your domestic pets. We can dry or steam clean your curtains and upholstery and remove any treatable stains at an excellent price. 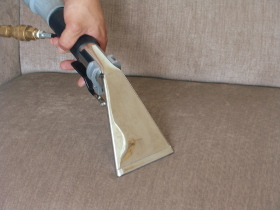 Get Our Splendid Upholstery Cleaning Greater London SE Now! To make the process of booking simpler and feasible at all situations, Better Cleaning Company has build a simple reservations system and a client care service which processes your needs every day. Contact us via telephone 020 3746 3201 or utilize the online booking form to make a reservation for our upholstery cleaning Greater London SE service. Our professional upholstery cleaners are accessible Seven days a week, all year long. Our drapery, furniture & sofa cleaning services have reasonable and set costs, so purchase them now!